This article is 1933 days old. 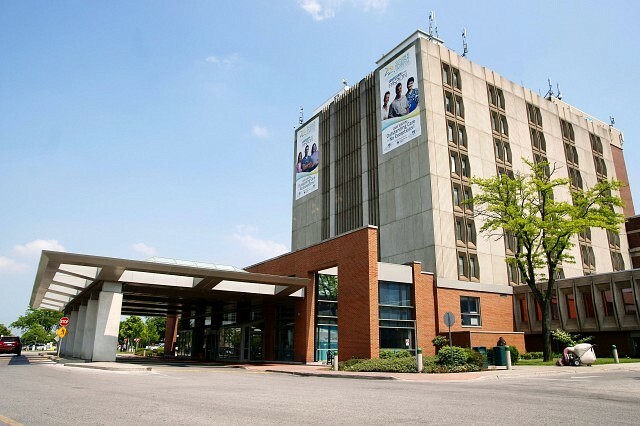 Windsor Regional Hospital reports that more than 30 individuals have been in patients at the hospital since November 2013 because of influenza. Most are relatively young (average age 44) and otherwise healthy, and most have the H1N1 strain of influenza. They say that people with flu-like symptoms such as fever, chills, sore throat, cough, runny nose, body aches, and fatigue should not visit their loved ones at WRH, or come with patients to appointments or emergency visits, if at all possible. People with a respiratory illness will not be allowed visit loved ones who are hospitalized at WRH. People with a respiratory illness should not come to their loved ones’ outpatient appointments at WRH, or come with them to the emergency room, if at all possible. Anyone with a respiratory illness whether they are a patient or a visitor who absolutely needs to come must wear a mask while they are at WRH. Masks are available at entrance desks. No children under the age of 12 will be allowed to visit any WRH hospital patient. Expectant Moms or Moms that have delivered a baby(ies) can only have one visitor, the same visitor, for her complete visit. The visitor must wear a mask while visiting the patient. Patients admitted to 4North Respiratory Care Unit (RCU) at the Metropolitan campus or under the medical responsibility of the RCU team will be limited to two visitors, the same two visitors, for the patient’s complete visit. The visitor(s) must wear a mask while visiting the patient. Children admitted to Pediatrics at the Metropolitan campus will be limited to visitation from the child’s parents for the patient’s complete visit. The visitor(s) must wear a mask while visiting the patient. Patients admitted to Oncology, under the medical responsibility of an oncologist or have a suppressed immunity will not have a limit as to visitors but all visitors will be required to wear a mask while visiting the patient. In addition, the requirement for any visitor to wear a mask while visiting a patient may be put into place by the patient’s care team on a case by case basis. Exceptions to these rest rictions, in compassionate cases, can be granted by the patient’s care team only after the person wanting to attend the hospital has been medically cleared to do so by the patient’s most responsible physician. WRH staff (employees, students, volunteers and medical/dental/professional staff) who have contact with any hospital patients must either have been vaccinated against influenza, or must wear a mask when they are with patients. Those vaccinated with the flu shot must still wear a mask for two weeks after receiving the flu vaccine in order to ensure the necessary protection.